Galleria Oriental Medicine and Wellness Center is a leading clinic in Houston, TX for acupuncture, traditional Chinese medicine, herbal medicine, alternative medicine, and natural therapy. We offer treatments for a variety of ailments and health problems such as diabetes and its complications (sores, neuropathy), obesity, digestive problems, migraine, skin disorders, and muscle pain. We also offer treatments for infertility, women’s health issues (menopause, PCOS, PMS), and men’s health problems (erectile dysfunction, prostate issues). At our clinic, you can also seek complimentary therapies for cancer. Stroke can cause problems with movement, speech, and cognition. We provide effective treatment for these problems caused by stroke sequelae. You can seek anti-aging treatments for skin and hair at our clinic. We also treat emotional and mental disorders such as depression and anxiety. Our treatment providers are highly-trained and experienced practitioners of acupuncture and other Chinese healing therapies. 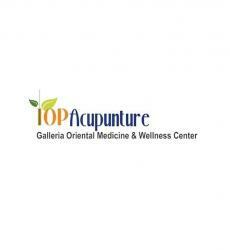 Our specialists Jianpeng Ma (PhD, LAc) and Qiaosha He (LAc) are top practicing acupuncturists and Chinese herbalists. Both received their master’s degree in Chinese medicine from the American College of Acupuncture and Oriental Medicine (ACAOM). They treat each patient after a careful analysis of their health issues and only then plan a treatment course for them. To know more about our treatments, visit http://topacu.com/ & http://topacu.com/about-us/.